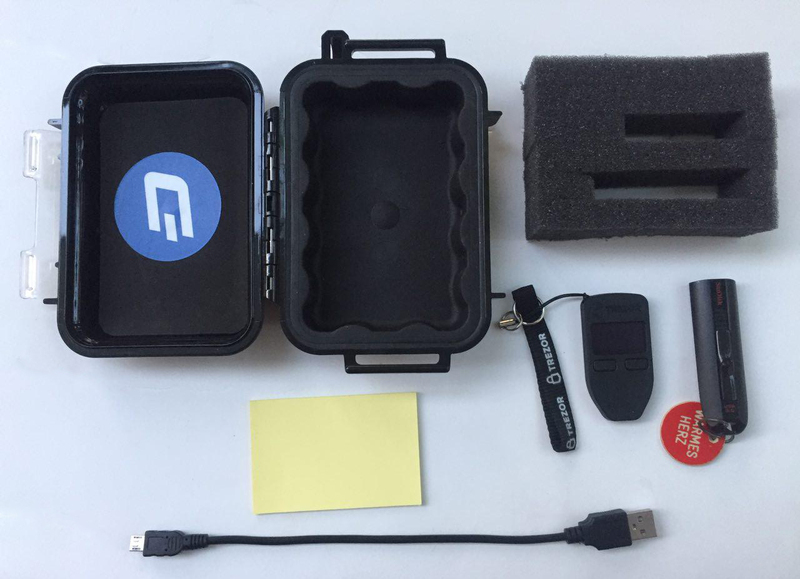 Hardware wallets offer you the security of storing your keys in secure device while still allowing you to make simple transactions through a web interface. Three major manufacturers of hardware wallets currently exist, with Axe supported on all of them. Developed by Czech startup SatoshiLabs, the $99 device is essentially a USB dongle designed to add an extra authentication layer to all outbound bitcoin transactions. Trezor has supported Axe since January 2017 with the release of firmware version 1.4.2. By virtue of its design, Trezor can be used to sign transactions on ‘unsafe’ computers and is impervious to keyloggers and many other vectors of attack, so even if your host PC is compromised, the attacker has no way of getting your private key. That’s also where the device gets its name, as ‘trezor’ translates into ‘vault’ in most Slavic languages, including Czech. 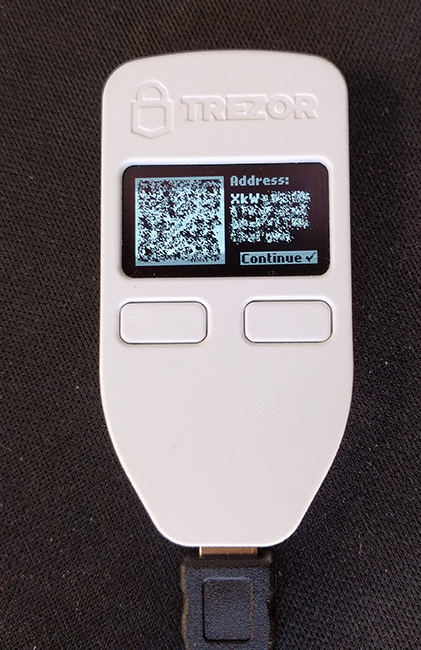 A kind of ‘vault’ for your private bitcoin key, Trezor claims to use a number of clever tricks to maintain security even on compromised and unsafe machines. 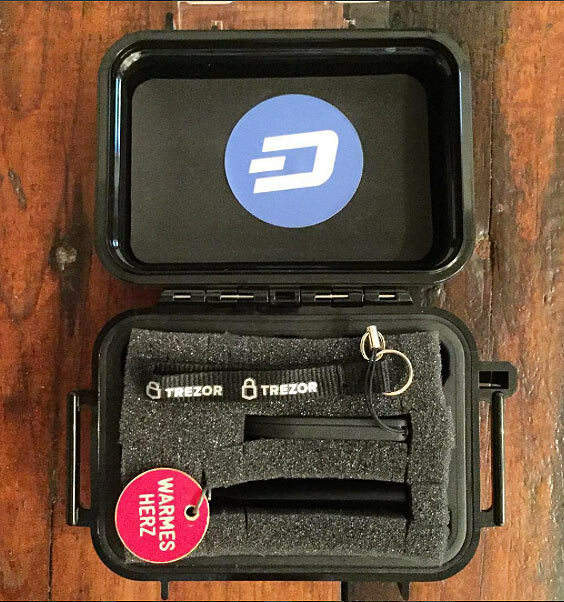 It is also possible to operate a Axe masternode using your Trezor. See here for details. Inspect the packaging for tampering. There should be two seals and the flaps should be glued shut. It should be impossible to remove the device without totally destroying the packaging. Go to https://trezor.io/start/ and watch the video to introduce the concepts of a shifting PIN layout and recovery seed. Go to https://wallet.trezor.io/ to begin the setup process. Connect the Trezor to your computer when prompted. If this is the first time you connect your Trezor, you will be prompted to install firmware. Click the Install button, wait for the download and confirm on the device. 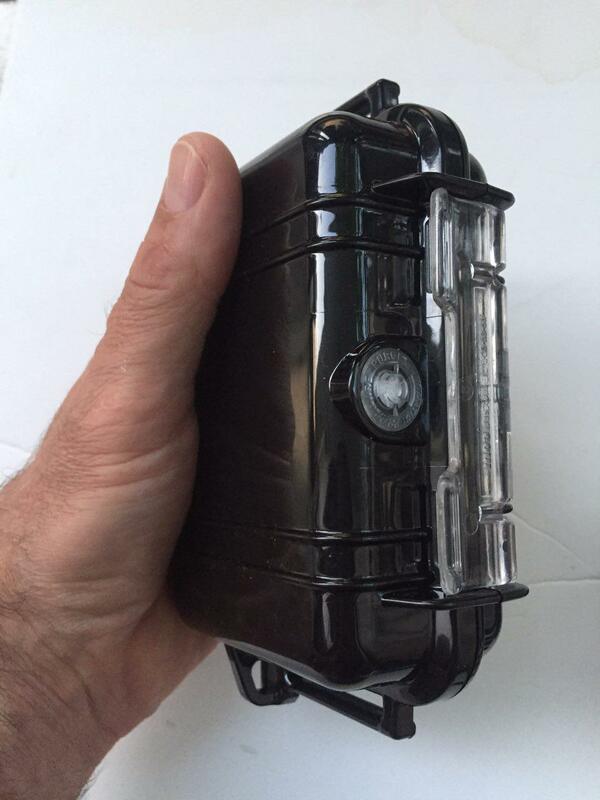 When complete, the device will display a fingerprint. Verify that this matches the fingerprint shown on the screen. Note that this is hexadecimal and therefore not case-sensitive. After verification is complete, disconnect and reconnect your device. Enter a device label on the screen that appears. Enter and confirm a PIN by clicking on the squares according to the mapping shown on the device. 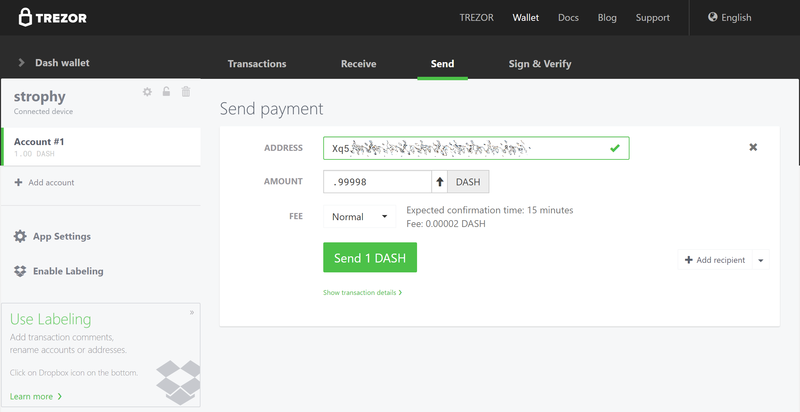 Your Trezor device will now display a sequence of 24 words on the screen. This is your recovery seed. Write the words down in the order they appear on the recovery card. Never store your recovery seed in any digital format, including photos or text. Verify the seed against what you have written down and store it in a safe place. You will be asked to enter your PIN again. The Trezor Wallet will appear with a message that your device is ready for use. Your device name will appear on the device. Switch to the Axe wallet using the menu at the top left. You can now use your Trezor to send and receive Axe. We will now create a Axe receiving address and attempt to receive 1.0 AXE. In the Trezor Axe wallet, click Account #1, then click Receive. A Axe address will appear. Click Show full address to verify the address on the Trezor device. Send 1 AXE to this address using an exchange or another wallet. 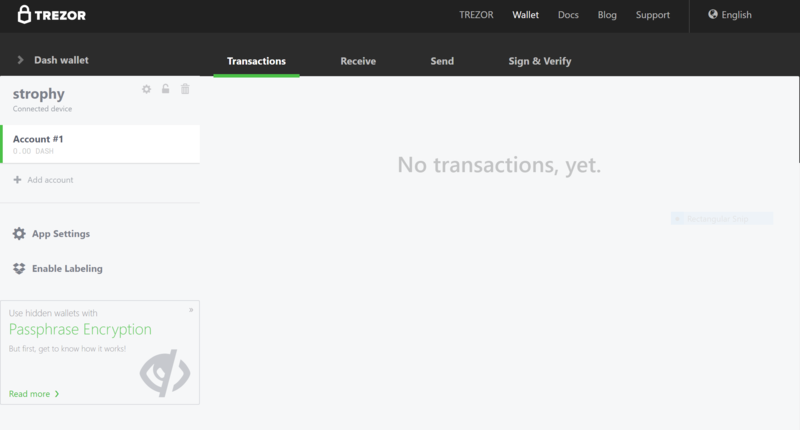 Once the transaction is confirmed, it will appear on the Transactions tab of your Trezor Wallet. We will now send the Axe (minus transaction costs) to an external address. In the Trezor Axe wallet, click Account #1, then click Send. Enter the Axe address and amount in the fields. Confirm the address on the device, then confirm the action. The transaction will be transmitted to the network and the recipient receives the funds. Your PIN is your primary form of security when using your hardware wallet. It is considered secure because the layout of the PIN keypad changes each time you use it. If you suspect your PIN has been compromised, change it using the following instructions. For extra security, or if you believe you may be subjected to duress at some point in the future, you can add a passphrase to reveal further wallets which only appear when you enter your passphrase. 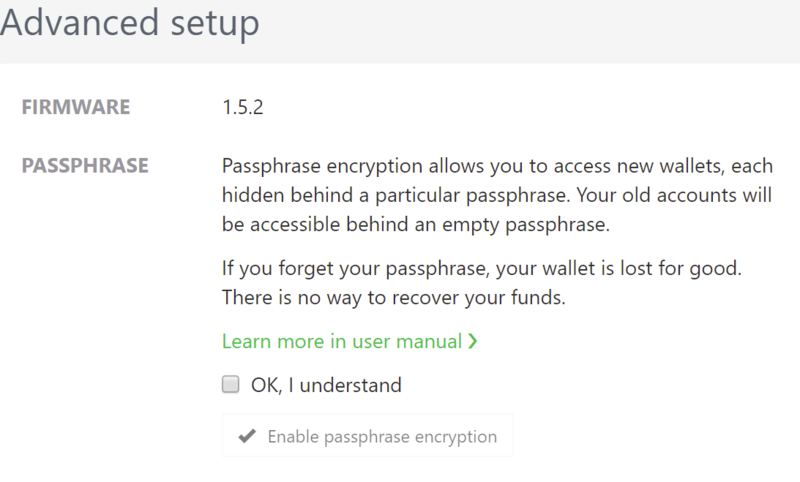 Since the passphrase acts as a cryptographic salt, there is no “correct” passphrase - a different wallet will be displayed for each passphrase you enter. Be absolutely sure you understand passphrases before using them. For more information, see here. You can change your Trezor PIN from both the Trezor wallet and DMT. From Trezor: Go to https://wallet.trezor.io and click the cog icon next to your username. Then click Change PIN. You will need to confirm you want to change your PIN on the hardware device, then enter your existing PIN and the new PIN twice. From DMT: Open DMT and click Tools > Hardware Wallet PIN/Passphrase configuration. The following window will appear. Click Change. You will need to confirm you want to change your PIN on the hardware device, then enter your existing PIN and the new PIN twice. You can add a passphrase to your Trezor from both the Trezor wallet and DMT. Before you add a passphrase, you should be fully aware of how it functions as a “25th word” to your seed, and the risks of forgetting your passphrase. Note that you do not need to enter a passphrase - blank is perfectly acceptable and will reveal your normal wallet. From Trezor: Click Advanced, confirm you understand the risks and click Enable passphrase encryption. This enables a prompt to enter a passphrase each time you use your Trezor. From DMT: Open DMT and click Tools > Hardware Wallet PIN/Passphrase configuration. The following window will appear. Click Enable. This enables a prompt to enter a passphrase each time you use your Trezor. 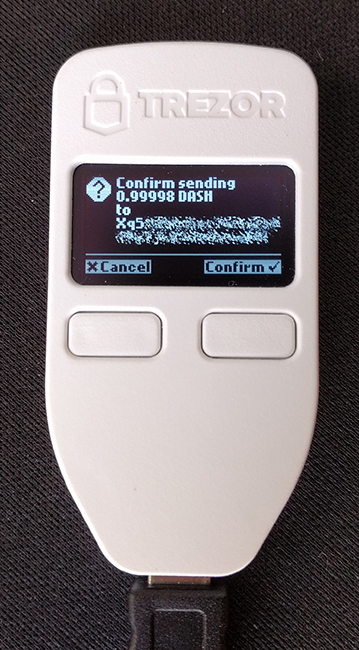 The $129 KeepKey hardware wallet features a large screen and 100% open source firmware to guarantee the security of your private keys. KeepKey has supported Axe since firmware version 4.2.10, released on March 28, 2017, and added support for InstantSend in firmware version 5.7.2, released on September 5, 2018. Follow these instructions to begin using Axe on your KeepKey device. It is also possible to operate a Axe masternode using your KeepKey. See here for details. Founded in 2014, French startup Ledger markets enterprise and consumer blockchain security solutions, including the €58 Ledger Nano S and upcoming Ledger Blue. Ledger Nano S has supported Axe since November 2016 and firmware version 1.2. Follow these instructions to add Axe support to the device. It is also possible to operate a Axe masternode using your Ledger. See here for details.